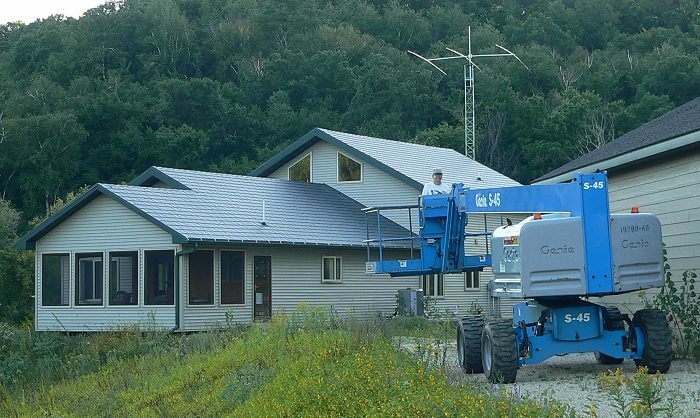 Our house construction is finished, and Mike’s ham radio tower is up! It’s so nice to have our quiet house back, and to have beautiful views out the windows instead of machines and construction materials. 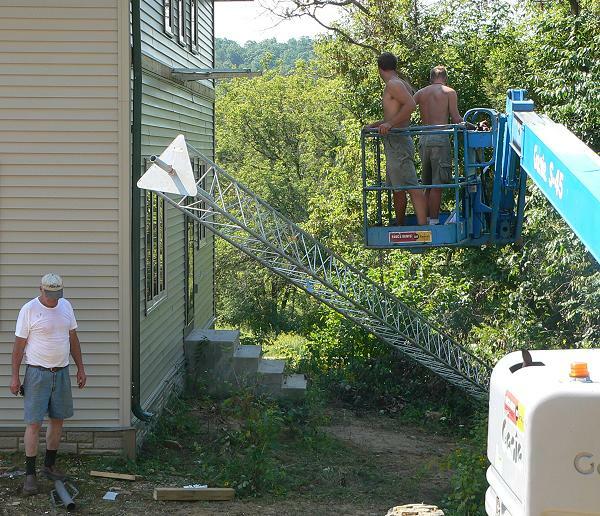 It was quite an adventure getting Mike’s tower set up. 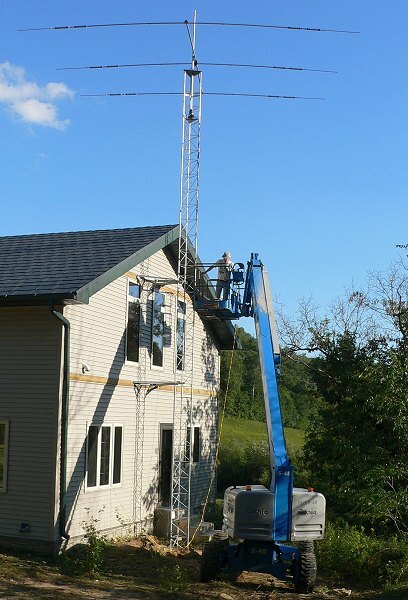 The guys who were working on the house helped get it up, and then Mike and I put the antenna on top. 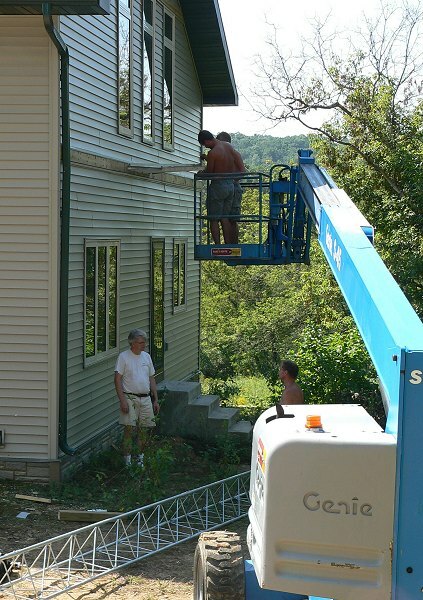 Here’s a sequence of photos showing the process. 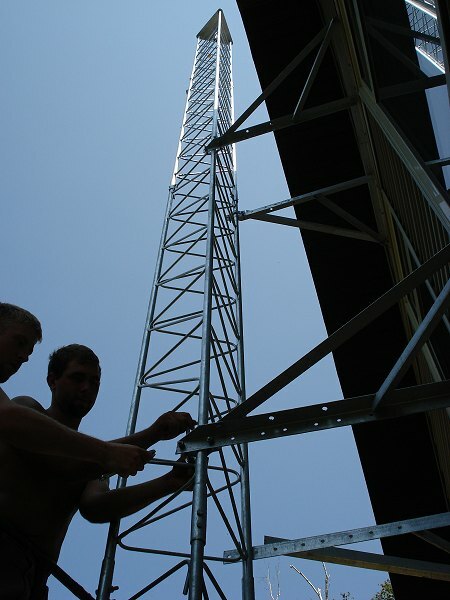 It was a great help to have the lift to put up the antenna – otherwise we would have had to climb the tower. Here’s a view of the valley from the top of the lift. 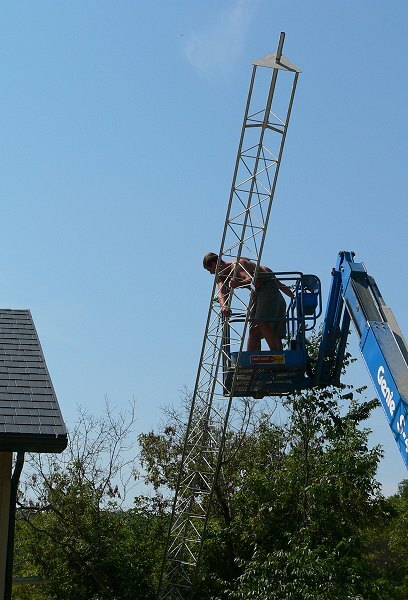 Mike driving the lift away – with the tower finally finished. 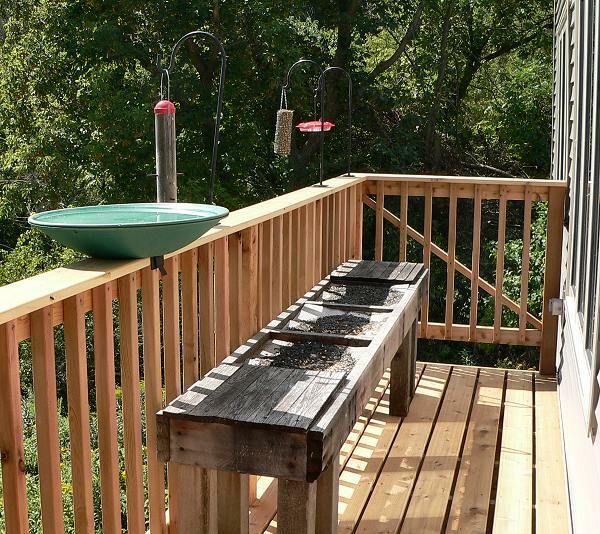 Another benefit of having the construction finished is that I have a bird-feeder deck again. The hummingbirds have found it already, but the goldfinches and other feeder birds are slower to notice. I have 4 hummingbird feeders out, and they get completely emptied every day – sometimes there are as many as 10 birds buzzing around each feeder. Here’s a video Mike took of the hummingbirds buzzing around our feeder. 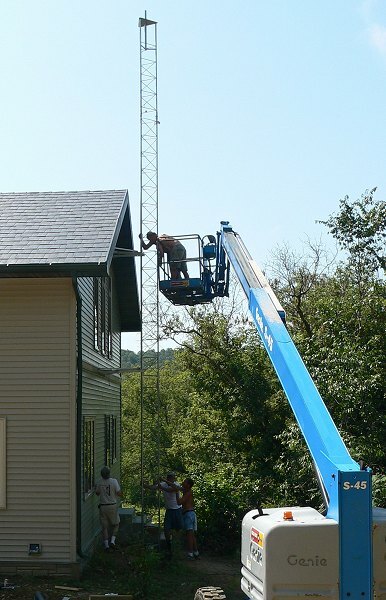 This is the house with the tower, antenna, and our new squirrel and raccoon baffling on the deck. 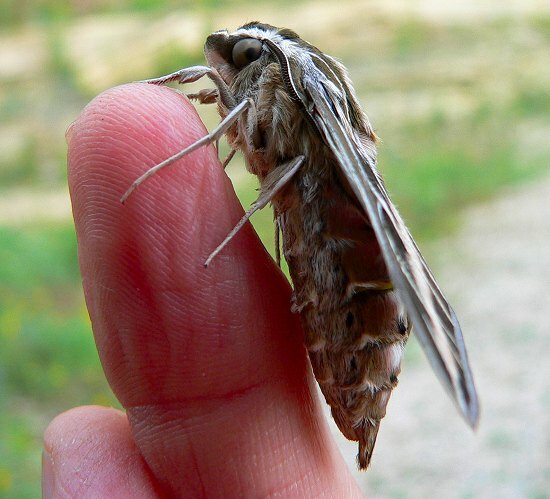 My moths and butterflies have been hatching. 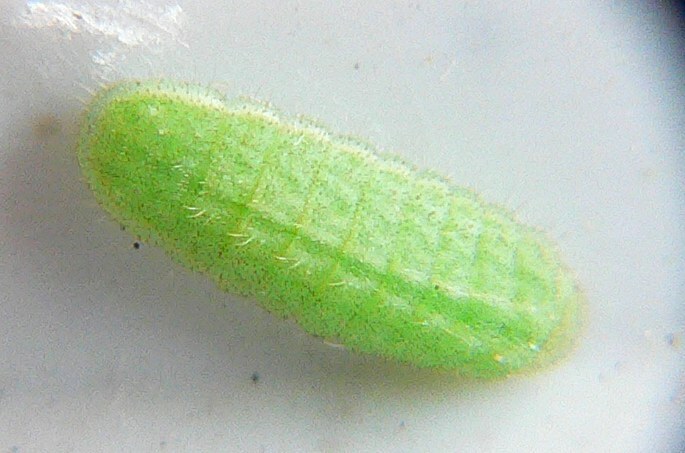 The Eastern Tailed Blue caterpillars made chrysalises and hatched – the whole process took 22 days from the time I found the caterpillar. 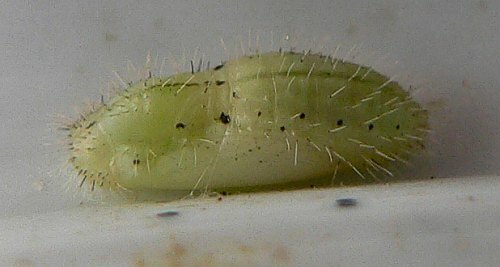 Here’s the caterpillar at the end of July. 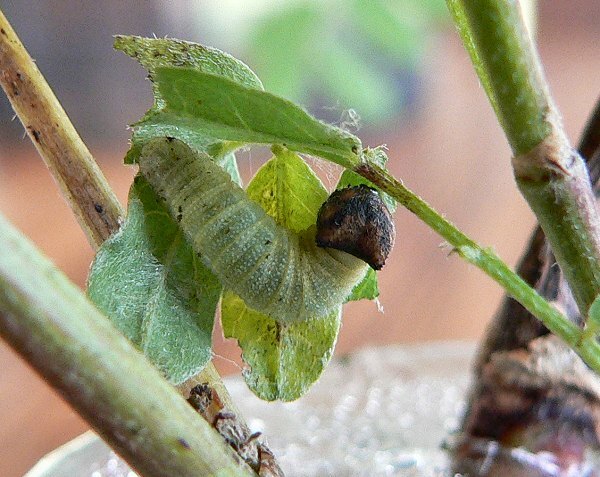 This is the chrysalis on August 11th. The butterflies had hatched on August 16th. I didn’t get a photo because when I noticed them, they were flying frantically around the cage, ready to be released. 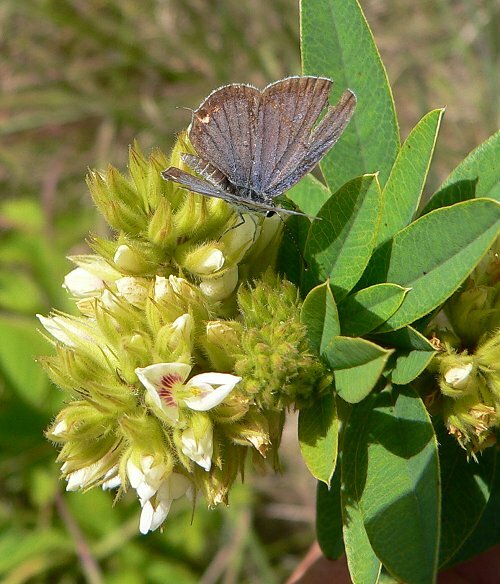 Here are a few old photos of Eastern-tailed Blues. 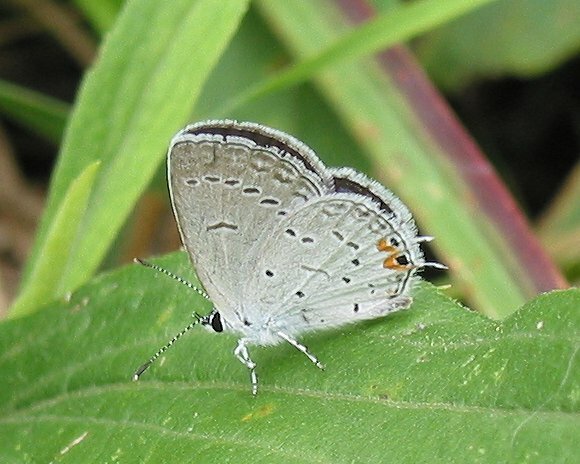 The underside of their wings is gray-blue with black spots and an orange eye-spot near the tail. Males are bright blue on top, and females are a duller blue-gray. 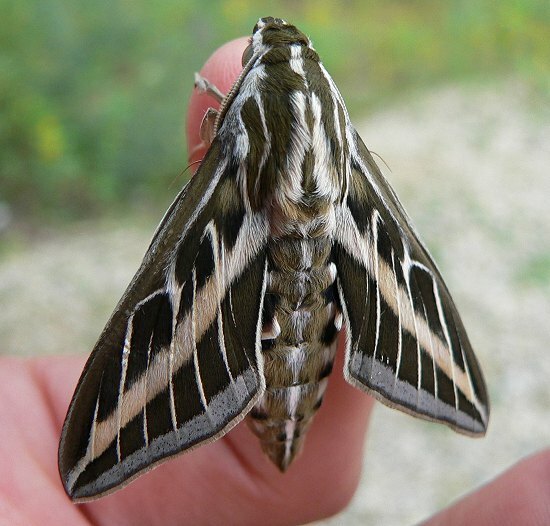 My White-lined Sphinx Moth hatched. 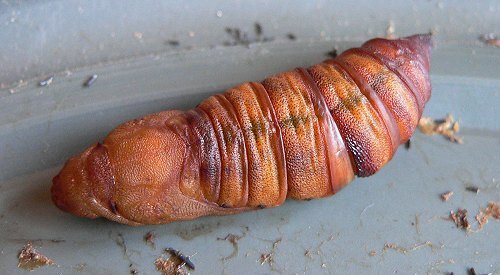 Here it is as a caterpillar, pupa, and as an adult. 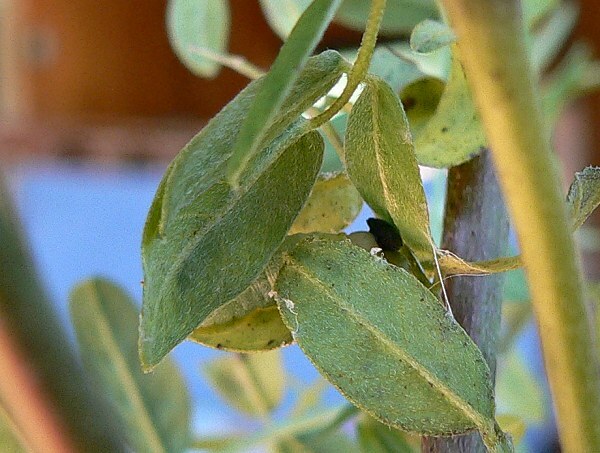 The Wild Indigo Duskywing caterpillars are getting bigger – they hide in the shelter of a few leaves that they stick together. The Blazing Stars are blooming now. 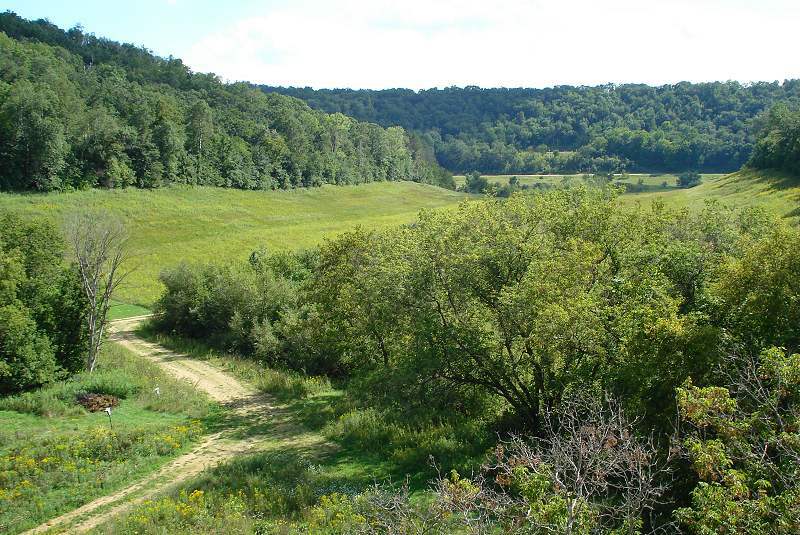 We have three species on our land. 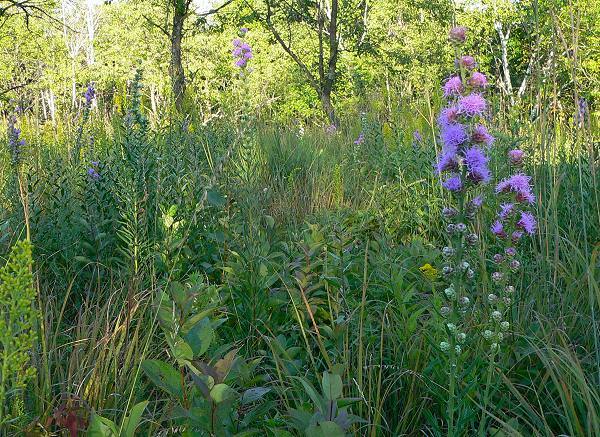 Rough Blazing Star (Liatris aspera) was the one here originally. 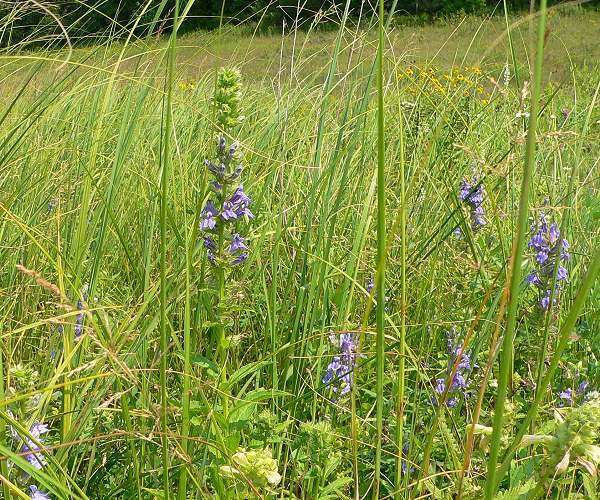 It grows in several of our remnants, and is spreading and blooming more each year. 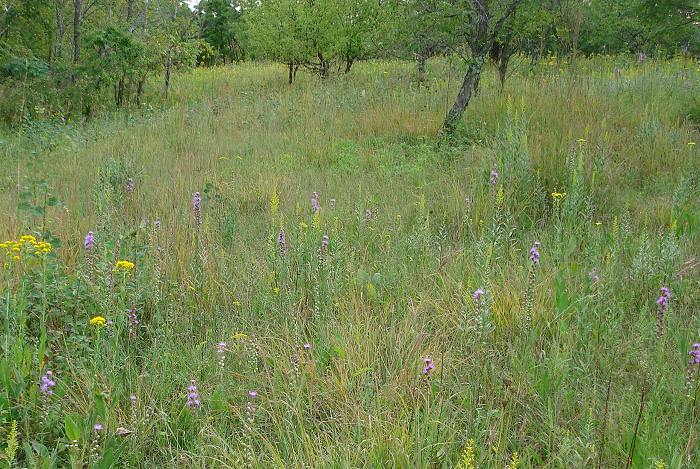 It’s especially prolific in the Knife Edge Prairie this year. 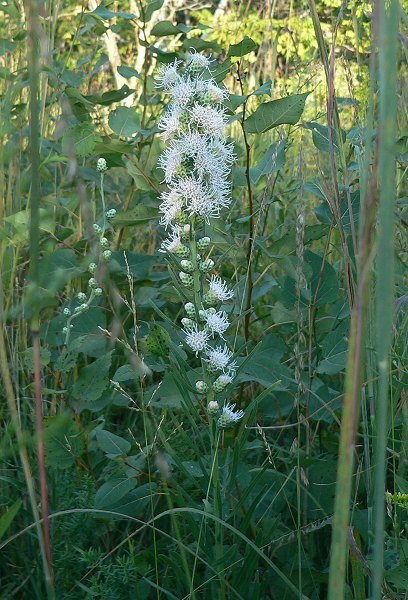 Most of the plants have purple flowers, but there are a few with white ones. I’ve planted two other species of blazing star, both of which grow nearby. 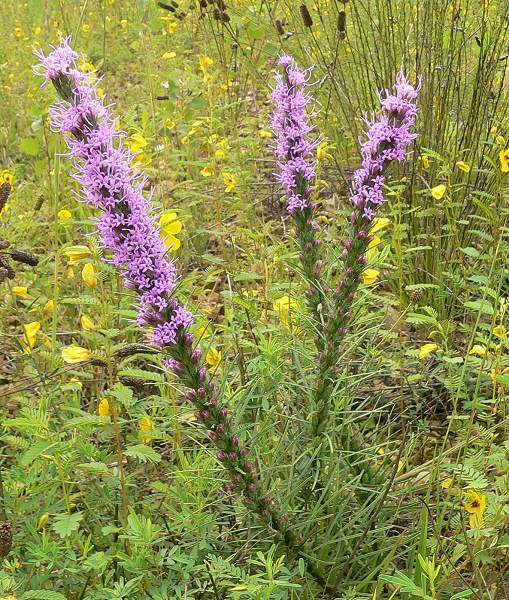 One is Cylindrical Blazing-star (Liatris cylindracea), which grows on several friends’ bluff prairie remnants. 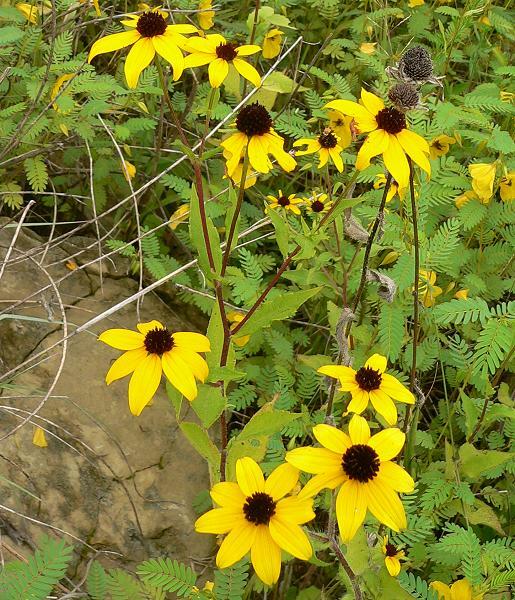 I planted it on the rocks behind our house, which is similar to the dry, sandy places where it likes to grow. 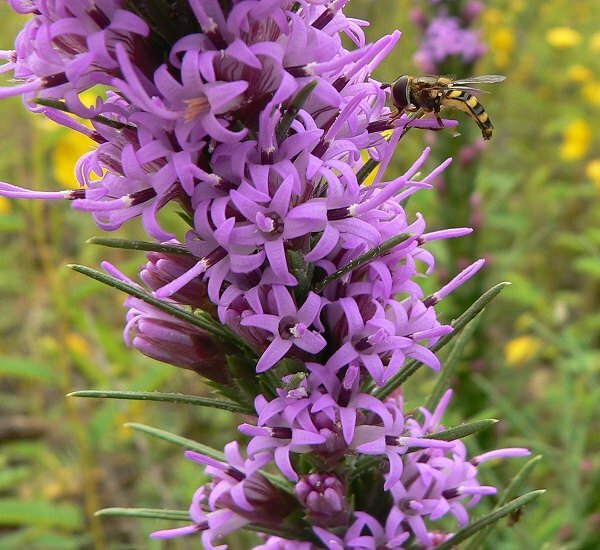 The third species is Dotted Blazing-star (Liatris punctata), which is endangered in Wisconsin. 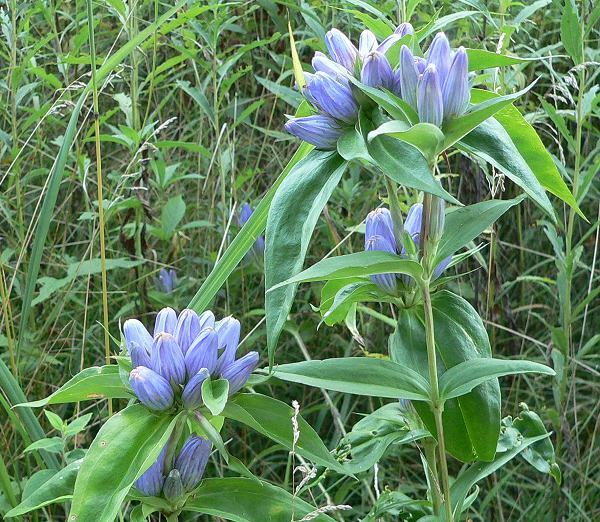 I’ve found it growing in Pierce County, just to the north, but never in Buffalo County. It seems to like growing on the sandy slope in front of our house. 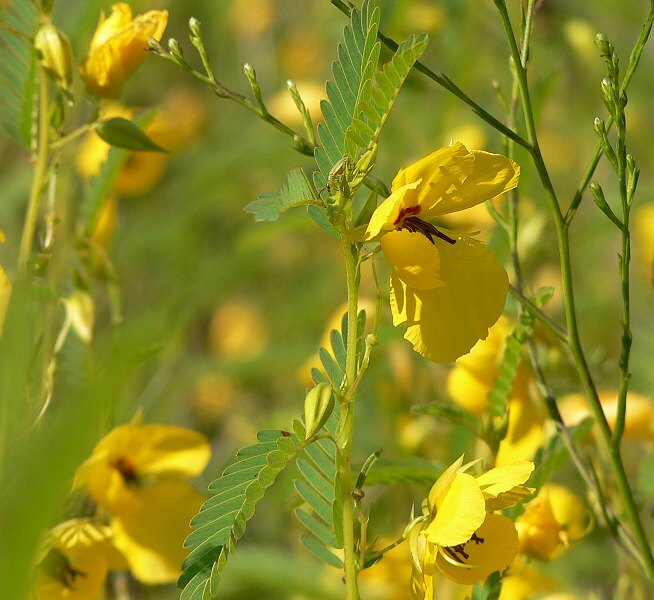 Partridge Pea (Chamaecrista fasciculata) is blooming on the slopes around our house. I used to wonder if there was too much of it, but it doesn’t seem to keep other plants from growing, and it does look beautiful when it’s all in bloom. 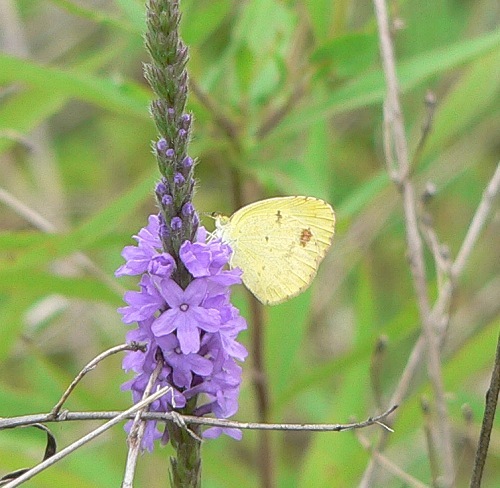 It also attracts Small Yellows – small yellow butterflies that repopulate this area from the south every summer. 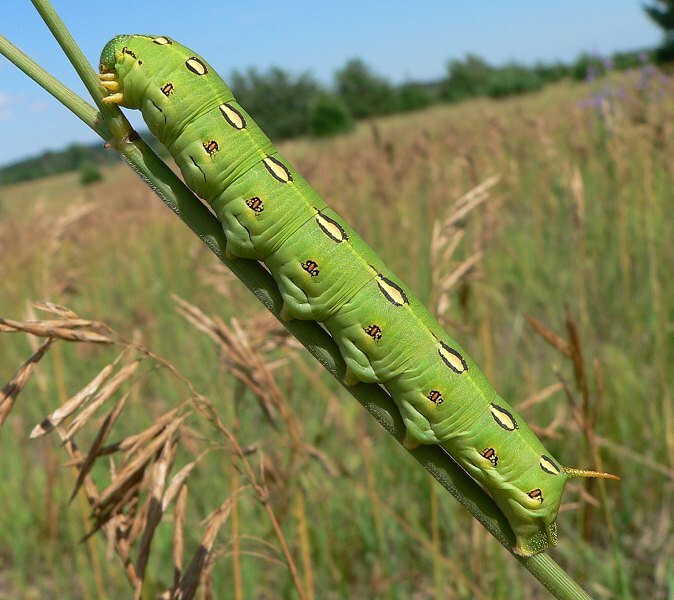 Their caterpillars eat Partridge Pea, but they can’t survive our winters. 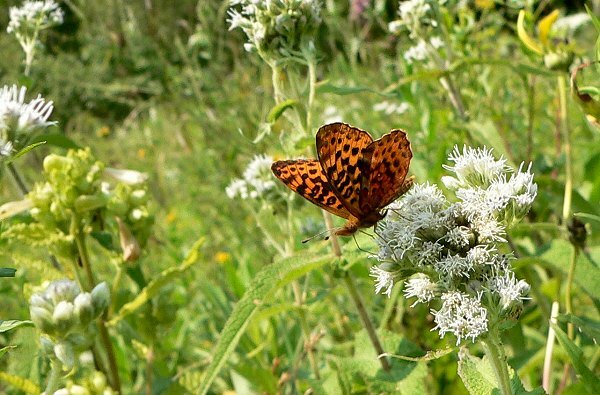 Here’s a photo of one of the butterflies from last year (they’re difficult to get close to, so I don’t have a current photo). 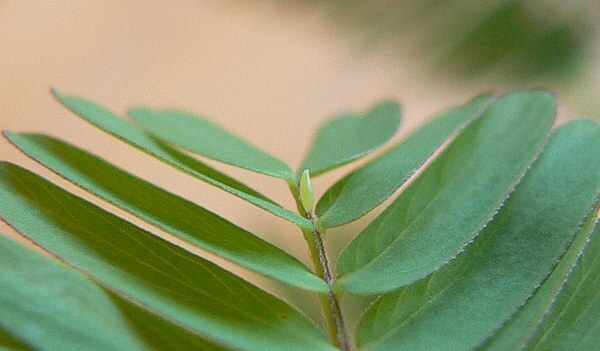 And here’s an egg that was laid on the Partridge Pea. 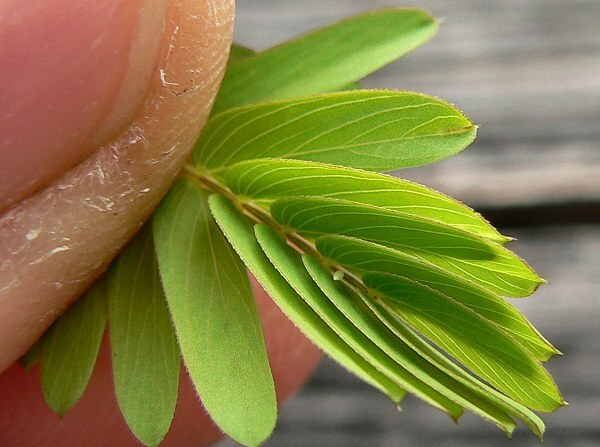 It’s very tiny, and a different shape from most butterfly eggs I’ve seen – tall and skinny and pointed. Here’s a photo with my thumb for comparison. The egg is extremely small. 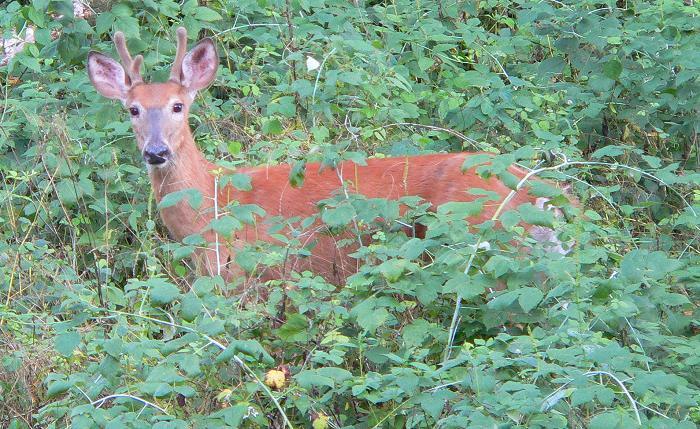 The deer at this time of year aren’t very frightened of people. They often stop still and stare at us when we walk by. Now that we’ve been having some rain, frogs have laid eggs in our neighbor’s pond. 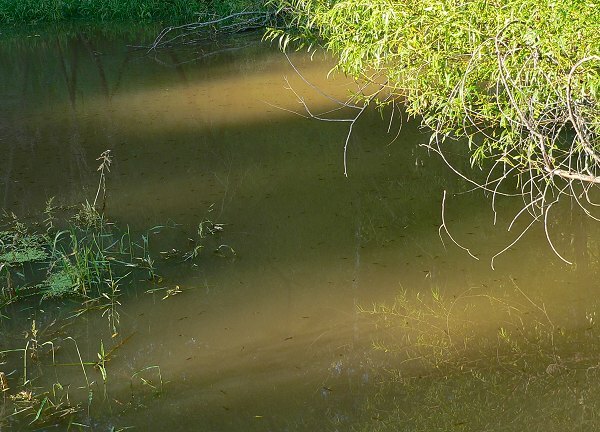 I can’t tell what kind of tadpoles they are, but there are hundreds of them. I thought at first they were maple seeds, floating on top of the water. 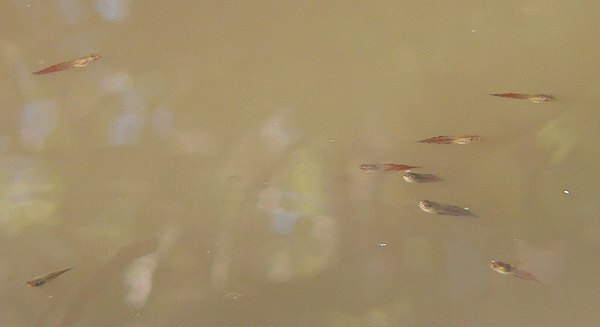 But when I got closer, I realized they were actually tadpoles – I don’t know which species. 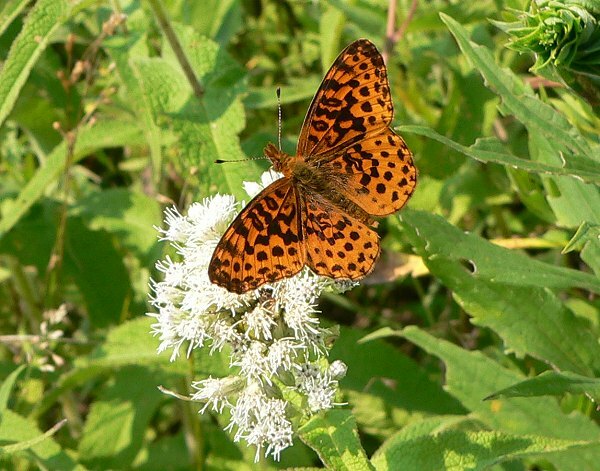 Here are a few other flowers and butterflies that I’ve been seeing. 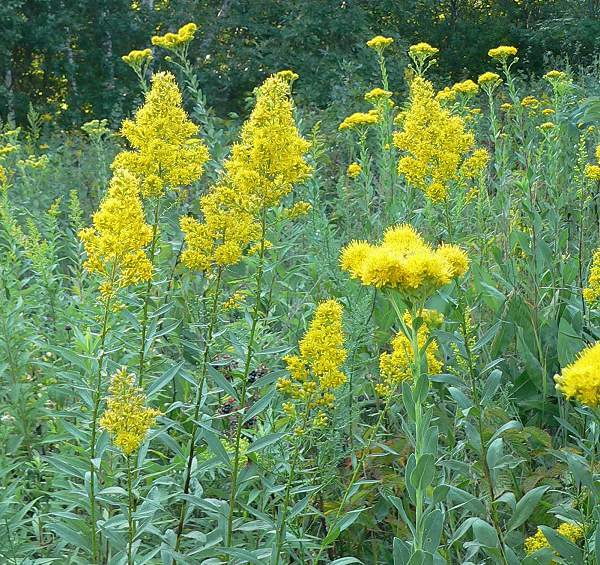 Showy Goldenrod (Solidago speciosa) – another of the beautiful goldenrods in our prairies. 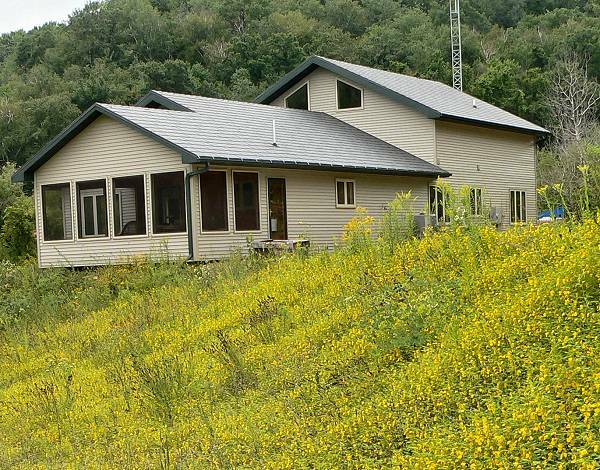 The flat-topped flower in the picture is Stiff Goldenrod (Solidago rigida). 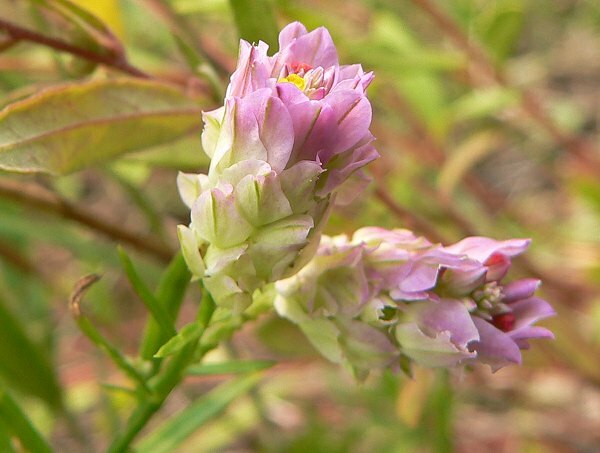 Showy Goldenrod has pyramid-shaped flower clusters. 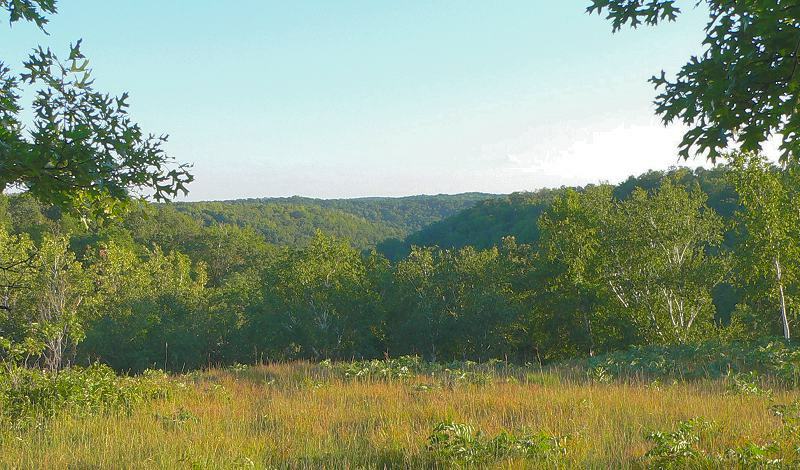 Here’s the view south from Hidden Oaks Prairie on a sunny summer evening. 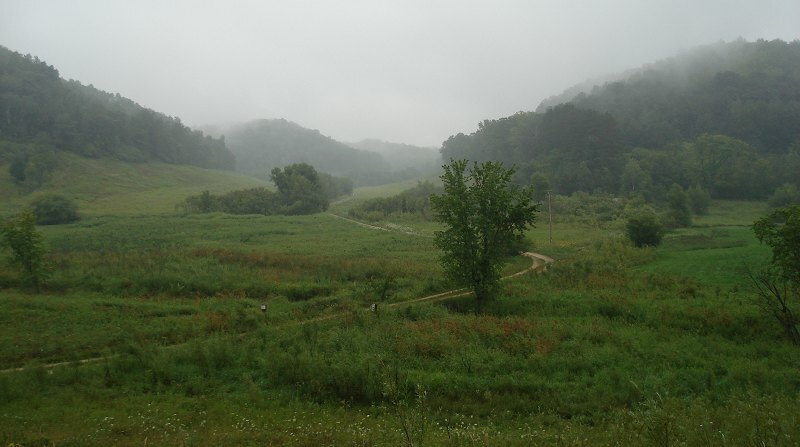 And Center Valley from the road on a misty morning.